Exciting news from Lotus-on-Track this month as they become the first Track Day Organiser to offer a chance to drive your own car on the Lotus test track at Hethel, with their track day on October 8th. 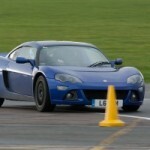 The day, which is being run as a test ahead of potential future dates in 2013, is only for experienced Lotus on Track drivers who have completed a minimum of 5 open pit lane days with the company to help ensure smooth running and at Lotuses behest is only open to Lotus derived cars—so VX220s and Sevens are permitted, but Westfields, Porsches, Atoms, etc are not. The day is to be run on a semi-Open Pit Lane basis, with a maximum of 30 cars on the day and 12 cars on track at any one time. 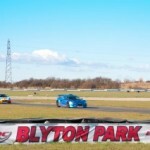 The Hethel test track has been extensively renovated over the past couple years to FIA specifications and offers a unique opportunity to test your car out at the place it was originally designed, tested and build. The day costs £230, with a noise limit of 105dB and instruction available as normal for £20. 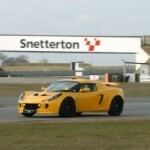 If you’re interested then be sure to take a look on the Lotus-on-Track website for full details. 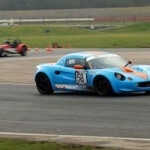 This entry was posted in Group Lotus, LoTRDC and tagged 2012, Hethel, Lotus on Track, October, Track Day. Bookmark the permalink.